The use of any kind of hand-held phones by a commercial vehicle motor driver is restricted by a lot of countries. The rule does not permit a commercial vehicle motor driver to handle a phone to make calls or receive calls using more than a button to dial or receive. These cell phone laws for truck drivers only permit the use of hand-free mobile phones while located in close proximity and given this won’t cause any distraction. There are several studies showing that there are harmful consequences of driver distraction associated with the use of phones while driving, whether hands-free or hand-held. What is the Risk of Mobile Usage While Driving? For instance, in the United States, the FMSCA studies show that commercial vehicle motor drivers holding a phone, trying to text or dialing a number while driving, risk getting into an accident 6 times greater than those who do not use hand-held phones or even get into another safety threatening incident. For instance, a driver speeding at 60 miles per hour picks a phone to dial a number or tries to text, – this will distract him for not less than 5 seconds meaning he does not see what is going on during those 5 seconds. He has covered about five hundred feet of the road way. Imagine something appears in front of the vehicle at a reasonable distance or a car in front of the driver’s car suddenly stops, – the probability of colliding in both cases is very high. To use a hand held the phone, the driver needs to make use of at least one hand to search through the phonebook list to dial the number. The driver may even do it by changing positions from a seated driving position. So this is the reason for the federal cell phone laws. The usage of mobile phones for commercial vehicle motor drivers should be limited in order to avoid the road accidents, occurring on high ways. Systematic surveys are conducted by a few European Union countries about cell phone use by drivers. In the United States and Europe, roadside surveys have shown that about 11 % of drivers use the cell phone while driving. The bigger amount of drivers reported that they rarely use their mobile phones while driving a truck. About two thousand six hundred deaths are associated with road accidents that would have otherwise been prevented due to the use of hand-held phones while driving. In Netherland, a Dutch study estimated that nearly 600 roads deaths and hospital admissions could also have been avoided if such rule were implemented earlier. Trucks drivers worldwide seem to adopt similar characteristics and policies or rules governing them tend to be similar too. In Sweden, the number of road fatalities is not as high as in European countries and U.S., about 10 – 20 deaths recorded annually because of doing phone calls or texting while driving. What really happens if a driver is caught using a hand-held phone while driving? If a truck driver has violated cell phone laws for truck drivers, there is a very high risk of the truck driver being disqualified, as it is a major traffic violation. You violate the rules at your risk. The fines vary in different countries but in a country like the United States, the truck driver can be given a fine of up to two thousand seven hundred and fifty dollars and the trucking company up to eleven thousand dollars for not reinforcing the federal cell phone laws of no phone use by its drivers while driving trucks by the FMSCA. It is very dangerous to use a hand-held phone while driving because when we are trying to reach out for a phone, it causes a distraction that might become regrettable in a few seconds. This rule applies only to truck drivers and the rule also applies when temporarily being stationed during traffic or other delays. If there is a need to use a phone by the truck driver, the phone should be in close proximity to the driver and mounted for easy and fast access. It does not prohibit the use of using speaker earphone function or an earpiece, voice activated dialing. If the phone is far from the driver, it is advisable to stop the truck to use it before taking off. It depends on the kind of policies made by the trucking companies where the driver works. 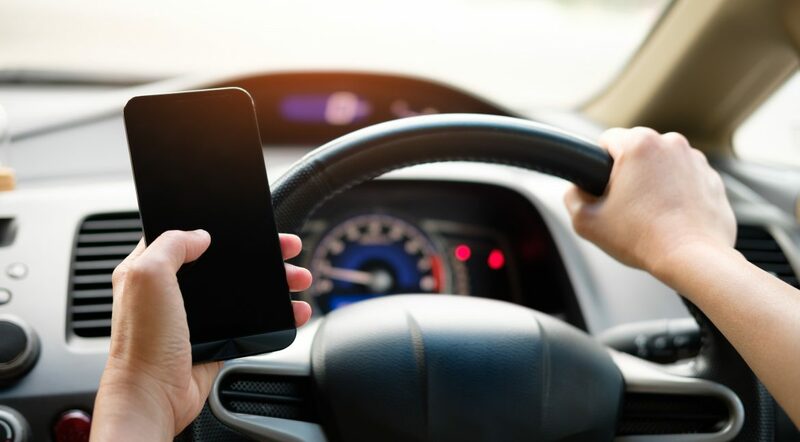 Studies show that although the use of hand-free phones causes a less physical distraction to the driver as compared to hand-held, it causes an as much important distraction as the use of hand-held phones too. Further studies still show that being on the phone while driving can impair a driver more than talking to a passenger or listening to the radio. Though these mobile usage rules for truck drivers are implemented, it is very certain that a lot of truck drivers, especially the young ones, will still continue using them. Some considerations have to be made in regards to the phones themselves. Redesigning the human-machine interface of in-car information in trucks’ system and cell phones are necessary to allow safe and regulate driver use of in-vehicle service. Drivers should be educated by the various trucking companies, respecting cell phone laws for truck drivers in regards to phone use while driving and even impose company sanctions apart from the sanctions from the board of transportation as well as the full implication of their acts to other road users as well as the driver and trucking company itself.